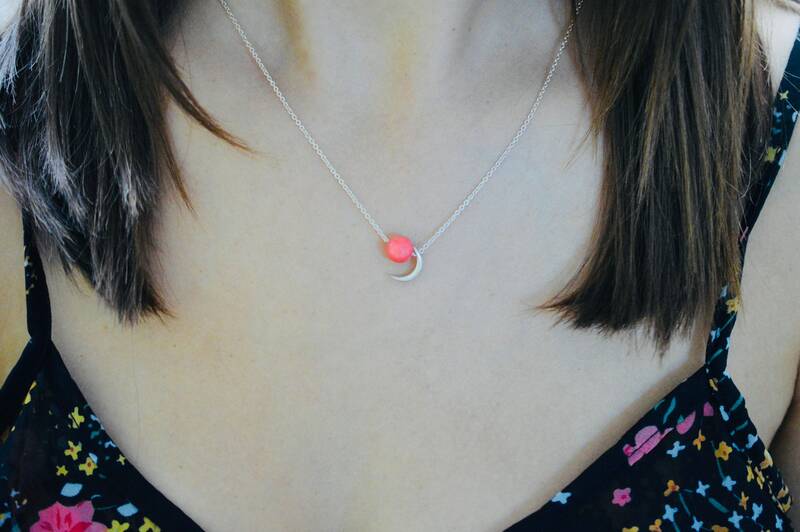 This Orbit pendant symbolises the moon orbiting around the earth. 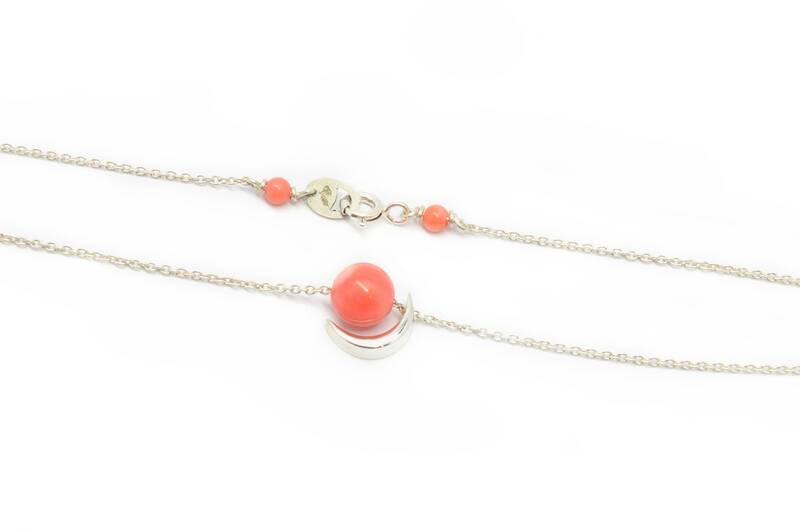 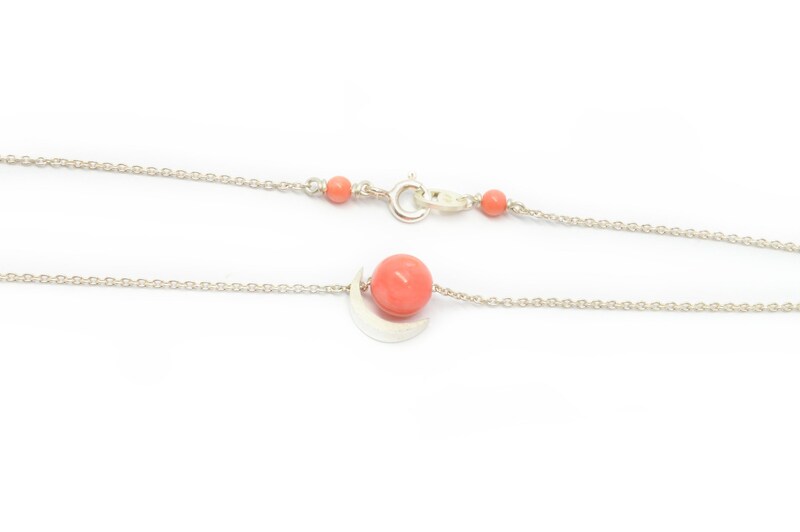 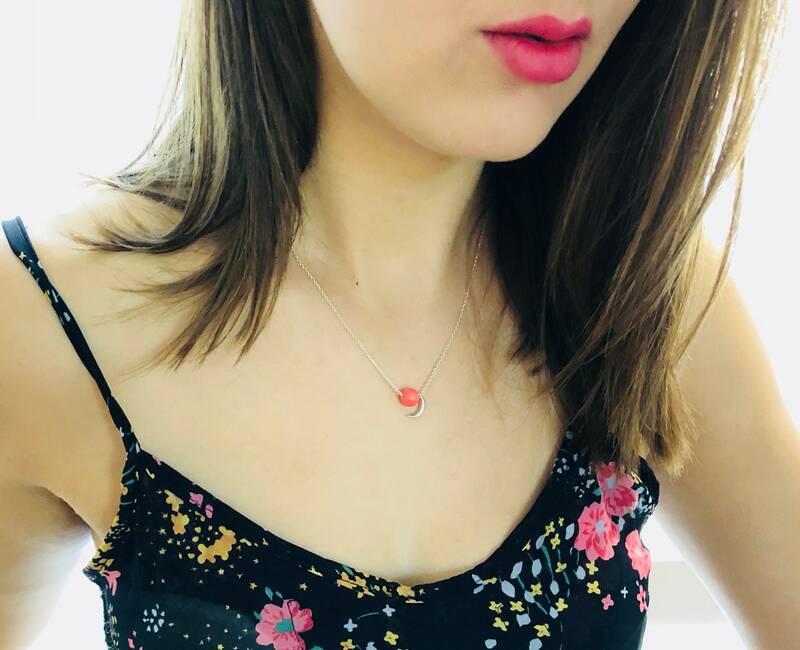 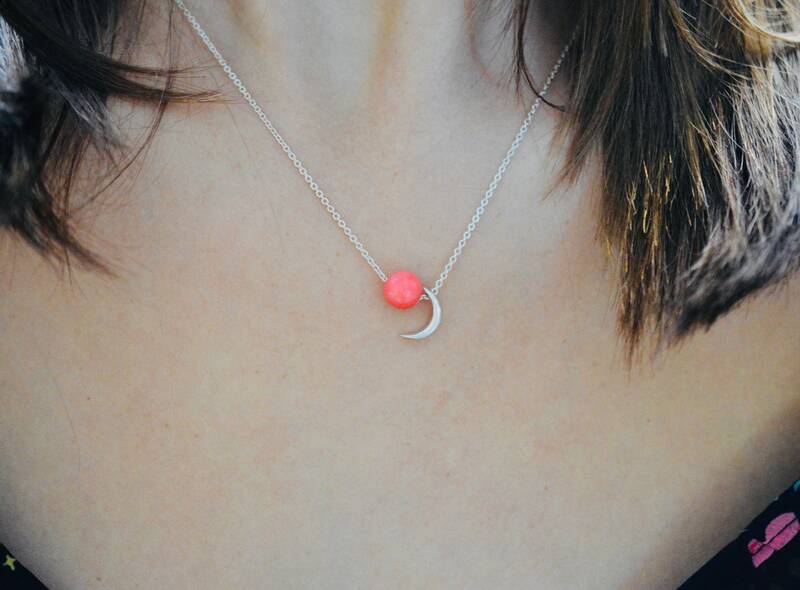 The moon is a feminine symbol, universally representing the rhythm of time and it’s wrapped around a coral bead which represents the life that is the centre off the moon’s universe. 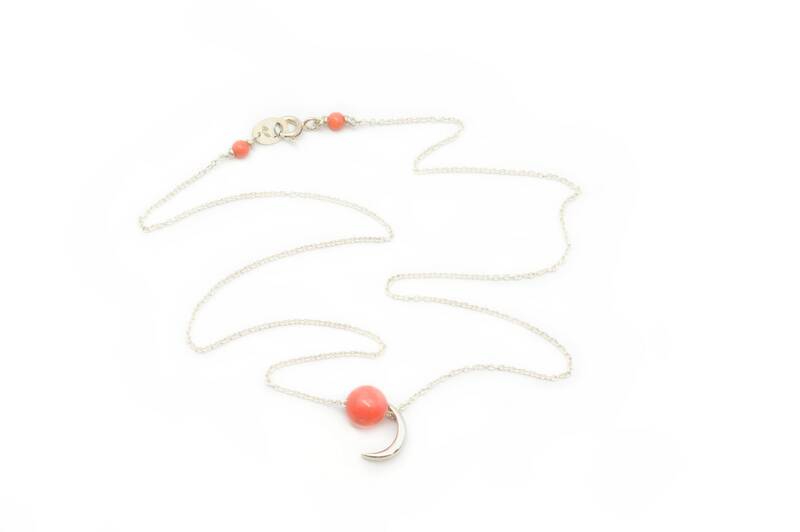 From the Nomad collection.